Mumbai: Reliance Industries (RIL) chairman Mukesh Ambani announced Jio tariffs at the company’s annual general meeting (AGM) on Thursday. The offer, which was being tested across the country for the past few months, launches on September 5. As Jio releases officially, industry telecom experts and users said the introduction of the high-speed broadband service will push 4G growth in India and compel other telcos to introduce cheaper plans. 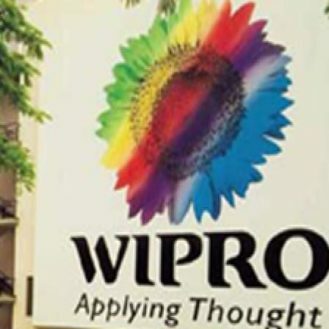 “Large telecom companies including Bharti Airtel, Vodafone India and Idea Cellular have already undertaken preemptive measures such as price cuts for higher data volumes at former price to retain its customers,” said Tanu Sharma, Associate Director – Large Corporates, India Ratings & Research. The agency said Jio would reduce data prices points by 30 to 40 per cent, forcing a drop in skyrocketing Internet data prices, charged by major telcos in India. He said users were earlier limiting their data consumption needs due to data caps and pricing. 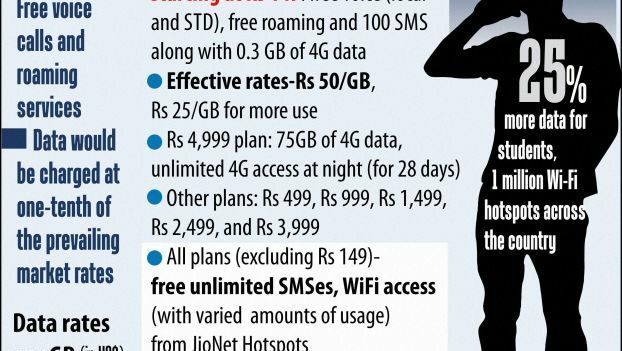 But Reliance Jio has brought down the average data pricing by 10x levels. 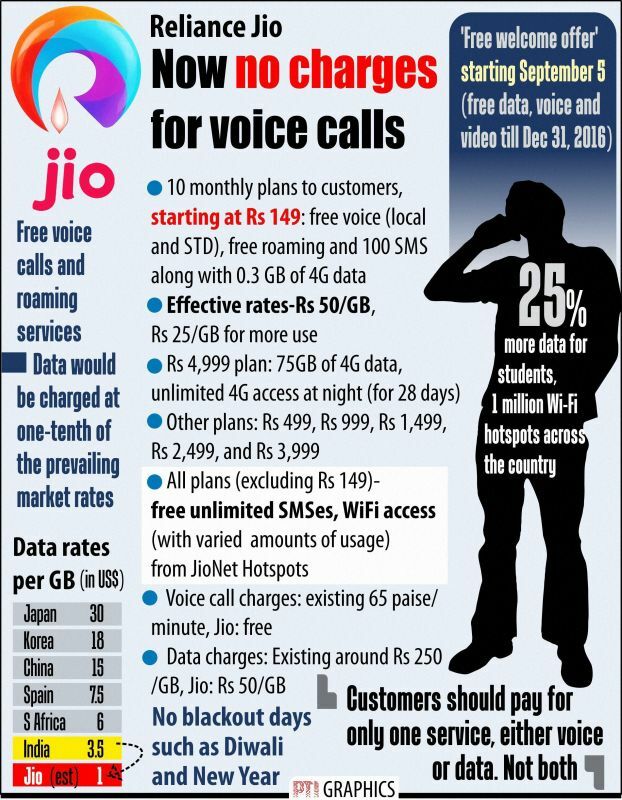 Apart from making the full package (Jio’s Data, Voice, Video and the full bouquet of Jio applications and content) free till December 31, Reliance will offer users free voice calls using IP-based network, according to a company spokesperson. In terms of data, it is slated to offer 1GB data for Rs 50; five times less than the average price of data packs offered by other major telcos. The company has same has filed the data tariffs with TRAI yesterday for approval. “We believe this disruptive pricing by Reliance Jio will surely have an impact on the telecom industrial competitive dynamics by a short up to a medium level. This will invariably spur consumer interest and making Jio one of the fastest operators worldwide to reach 100 million users,” Pathak said. He mentioned that the existence of feature phones, which is common in India, will provide the required time for other telcos to reshuffle their tariff plans over due course. “There is a plenty of room for all the stakeholders in mobile ecosystem to coexist and grow at the same time. The entry of Jio will act as a catalyst for telecom industry growth,” added Pathak. In his speech at the AGM, Ambani said it is important to equip the country with digital tools and Jio will make sure all Indians are ready to reap the benefits in the digital age. He said the disruptive pricing of Jio will not only initiate 4G evolution in India but also steer other telcos to follow a disruptive price mechanism — a win-win situation for mobile phone users in India. “India is ranked 155th in the world for mobile broadband Internet access, out of 230 countries. Jio is conceived to change this. I have no doubt that with the launch of Jio, India’s rank will go up among the top ten,” said Ambani. India’s broadband customer base stood at approximately 151 million in April 2016, and the 4G user base was estimated to be about 6 million; a small user base in comparison to developed countries around the globe. Most data services in the country are primarily delivered via mobile broadband network, comprising over 88.7 per cent (134 million) of total broadband subscriptions. The low 4G user-base is expected to grow by over 98 percent to 350 million by 2020. While the slow broadband alongside expensive rates seems incapable of fulfilling India’s digital goal, the entry of Jio will give a significant push to fulfill it. The 4G-based broadband offer, available at significantly cheaper rates in line with the Digital India Initiative, would induce most non-users to get on board the Jio ship. Jio’s 4G network already covers 18,000 cities and towns, and over 2 lakh villages and by March 2017, it is expected cover 90 per cent of India’s population. While Jio is the first telecom company to offer a 4G-only service based on Next Generation Network (NGN), the hurdle for the company is to offer uninterrupted services in the future. Telecom analyst Pathak said the real test will set in once Jio achieves a critical mass as it has to ensure the quality of its services and at the same time hook new users on to its ecosystem. The past few weeks have been difficult for Jio, facing criticism from other telecom bodies under the Cellular Operators Association of India (COAI). COAI director-general Rajan S Mathews had, on behalf of telcos, accused Jio of running a commercial service ‘under the guise of testing’. During the last phase of testing, the service was plagued by around five crore call failures, which Ambani said was due to insufficient interconnecting capacity provided by other telcos. The RIL chief requested the incumbent operators to give fair access. “The onus is rightly on the incumbent operators not to misuse their market power by creating unfair hurdles, when it comes to providing points of interconnect between their networks and Jio’s network,” said Ambani.